Welcome to the site of the most exciting integration company in the Tampa Bay Area! Everything you could possibly want in innovative technology is here! Custom home theaters or boardrooms, distributed audio, and security are just a few of the innovations we offer to help build the home or business of your dreams. Serving the Tampa Bay area for almost 20 years, Techni-Home, without a doubt, will be your last stop in the search for “new millennium” living. Surveillance cameras, custom cabinetry, or “smart home” integration – the choice is yours! It is our diversity in technologies, our expertise in implementation, and our commitment to our clients that makes the difference. Additionally, our custom control servers and user interfaces that enable our clients to take control of their technology from virtually anywhere, even further separate us from the completion. 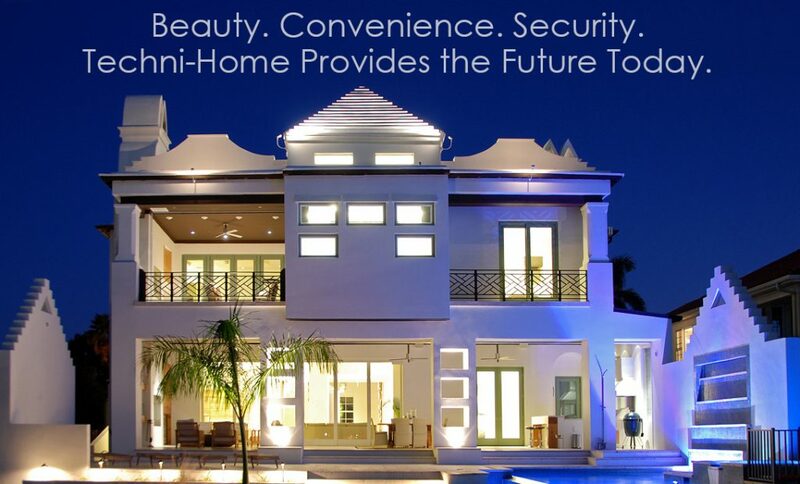 So whether you are a business owner creating an inviting ambiance for your customers with audio, video, and Wi-Fi, or a home owner feeling secure knowing you’ll get maximum reliability from your alarm system, automated blinds, and lighting control – Techni-Home is simply “today’s resource for the home of tomorrow.” We can’t wait to give you the opportunity to experience first-hand the many “futuristic” conveniences of Techni-Home’s products and services that are certain to stimulate your senses!